As much as I hate to admit it, fall is fast approaching. How are you in the sport coat department? 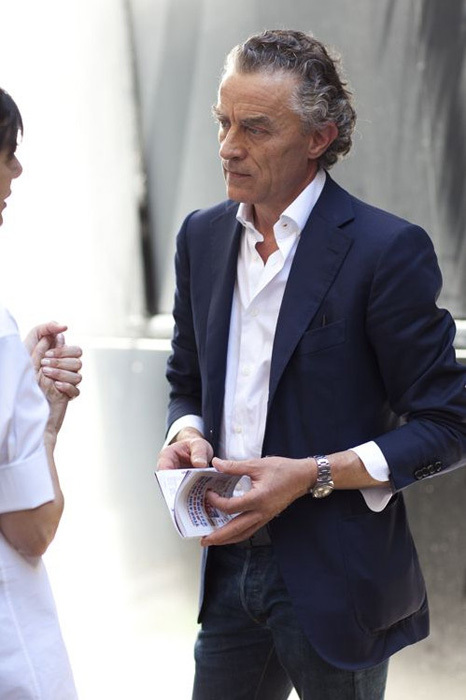 Personally, I could use a few more casual sport coat options so I’ve been looking around. 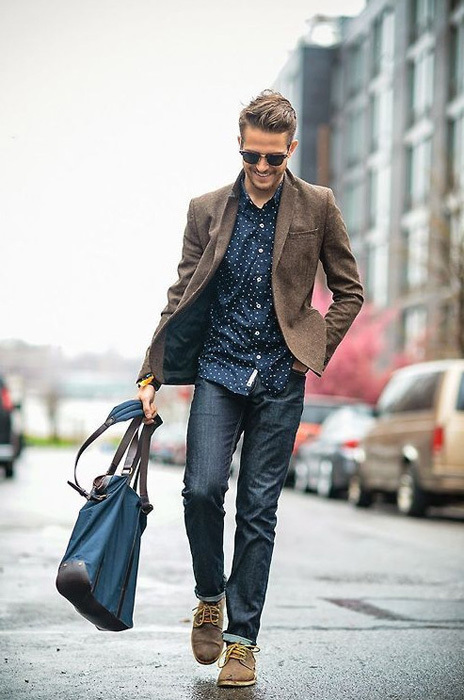 I like the sport-coat-with-jeans look because it’s so versatile, so I’ve put together some inspiration images from Pinterest I’d like to share. If you don’t wear sport coats because you think you’ll look too stuffy, you’re doing yourself a disservice. Maybe you’re wearing the wrong jacket. If you wear or own thick, heavily constructed sport coats that feel too stiff, I might suggest looking for more deconstructed jackets (less padding – soft shoulder) with thinner material. 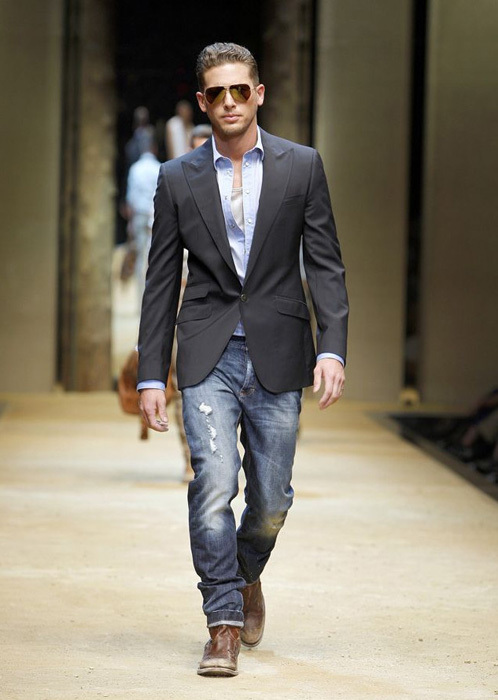 Wear your jacket ultra casual with jeans and a v-neck t-shirt, or even a polo shirt. Step it up a bit with a casual pattern button-up, or go even further with a solid white button-up. Below are several casual options that are all shown with jeans proving you can still be a badass while wearing a sport coat. Nice article! Fashion keeps on changing every year, try the new arrivals at http://www.AlternativeApparel.com.